BlackBerry once used to be one of the leading smartphone companies in the market, but now, it has observed a vast decline. I still remember those days when people used to crave and yearn for a BlackBerry but now one hardly sees anyone even speaking of the brand. 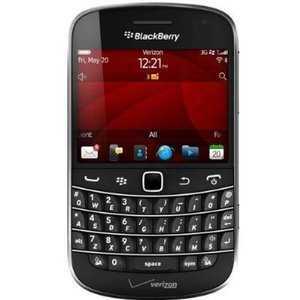 BlackBerry is Declining, Why ? Today’s market has now lost their interest on Blackberry and pay lot of interest on iPhone, iPad, Samsung and all lot of them, which made the blackberry go down. Why is it like that? I would first of all like to answer that question before doing any other thing, why blackberry has gone down totally is because; although I have about two answer for that. 1. Almost all the blackberry products are the same. Okay then I would have to touch this two topic one after the other. Blackberry phones are all made with the same features there is no much difference in their phones, everybody needs different new product and all what they are bringing out is nothing but the same thing, why don’t you think that people won’t reject their phones and go for some other phones that has better quality and have different pattern. So then just take a good look at these two phones and check on their brief features and you would know what I am talking about. These is another reason why blackberry is declining in the current mobile market today, there are many competitors that are battling with them, they are all going towards a very high level and they all want to win. Also can we all remember those days that blackberry do reign, now it the turn of iPhone Samsung and all others but blackberry can still move higher and look towards their future or else they would fall totally, because the way I am seeing Apple and Samsung they don’t really care of anything all they want is forward ever backward never. Apple is now winning the ground, can you believe it till the extent apple is going to, a Chinese boy sold his kidney in exchanging of buying an iPad and iPhone apple made phone. I have the full believe that after reading this article you would know what to do and know the right Phone you have to buy. I am not saying that Blackberry is not a good phone or something else, but I know that there is an adage that says that ‘’USE YOUR LIPS TO COUNT YOUR TEETH’’.